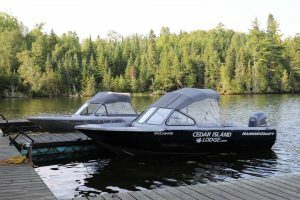 Situated on beautiful Pipestone Lake in Northwest Ontario Canada, Cedar Island Lodge is nestled amongst the cedar and pine trees on a remote, private three acre island. 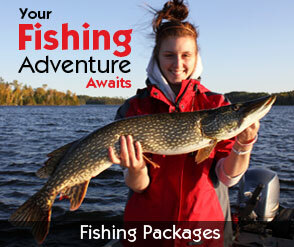 A fisherman’s dream, a photographer’s paradise, an unforgettable experience! 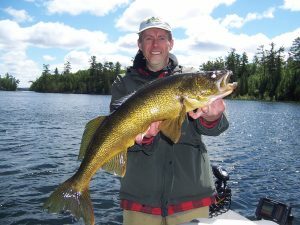 The call of the loons and the stunning sunsets will never cease to amaze you. Unwind by the fire or soak in the hot tub under the stars. 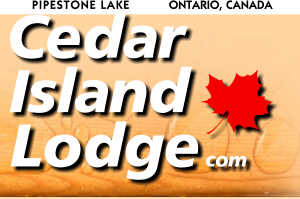 Cedar Island Lodge offers four cabins with knotty pine interiors, full kitchens, private baths, cedar showers and fresh linens. 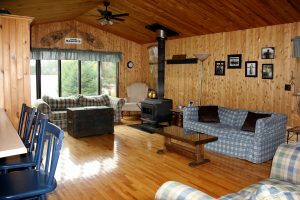 Cabins are heated by wood stoves or propane heaters. 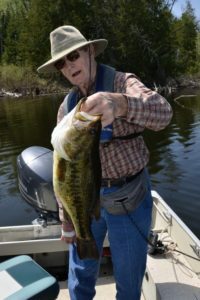 Fine country dining in the main lodge with a spectacular view of Pipestone Lake from every angle. We’d be happy to customize the Canadian vacation of your dreams. American Plan, Housekeeping, Custom or Corporate packages . 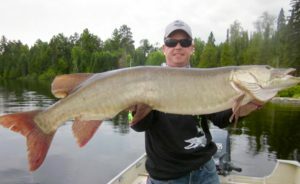 Rental boats, bait, gas and guides are available on site for your convenience. Relax by the fireplace in the evening or watch your favourite team on Satellite TV. Long distance and WiFi is available free of charge in the Main Lodge for our guests. 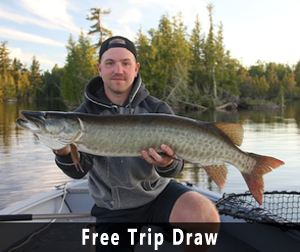 The ultimate Canadian fishing destination. Come and have an adventure with us! 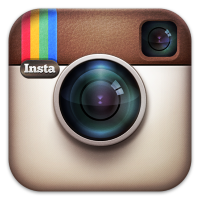 Check us out on Facebook, Instagram or TripAdvisor! 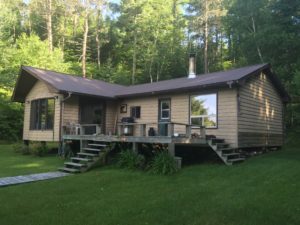 1200 sq ft cabin on a 1/2 acre treed lot, southern exposure with sand beach. 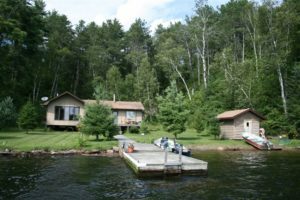 Deeded property and owned frontage on Clearwater Lake, part of the Clearwater-Pipestone Chain of Lakes with a mechanical portage at either end of the lake. 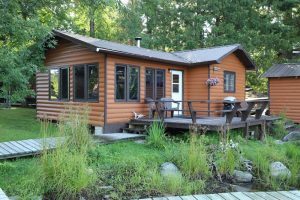 Electricity, hot & cold running water (summer), hardwood floors, knotty pine interior & wood stove. 10’x12′ wood fired sauna/workshop, 8’x8′ outhouse/storage shed & 8’x20′ floating dock.